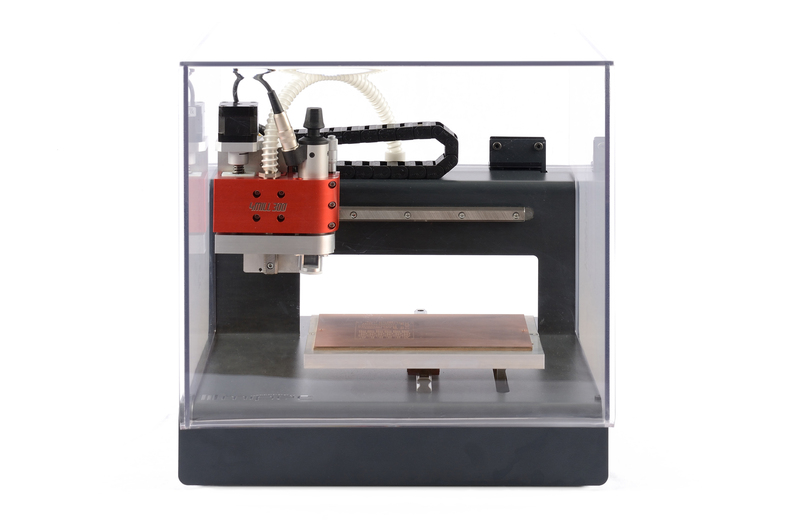 We proudly present our multipurpose machine for PCB prototyping and front panel making. 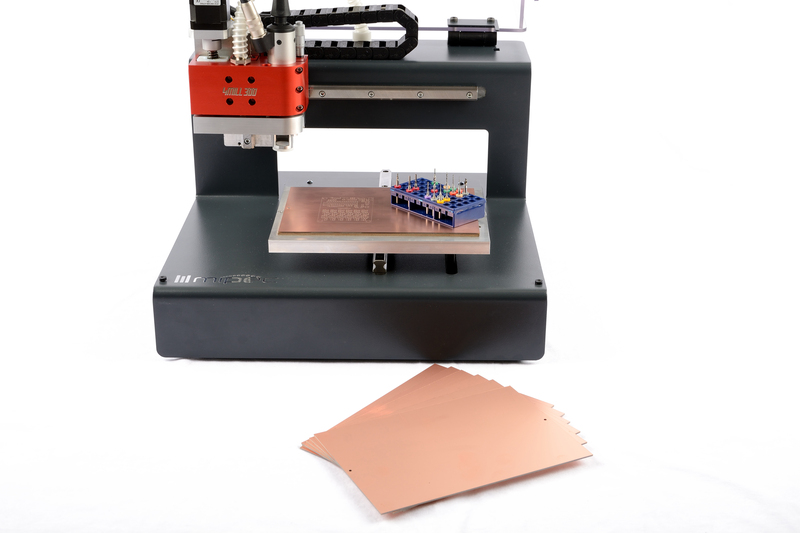 Make your double-sided PCB’s in minutes using 4MILL. Thanks to its hi-precision leadscrews and 60K HF spindle motor we can handle standard PCB designs, SMD, RF and various other applications. 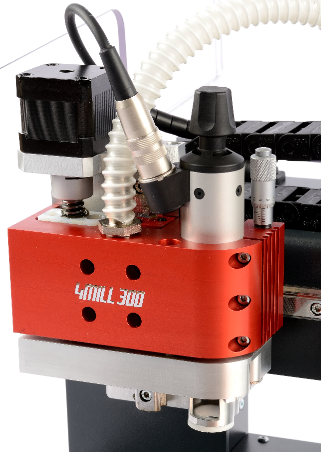 Do you need to drill holes from 0.2mm and/or mill tracks and insulation paths from 0.1mm? 4MILL is the machine for you! 4MILL300 is the entry level machine. 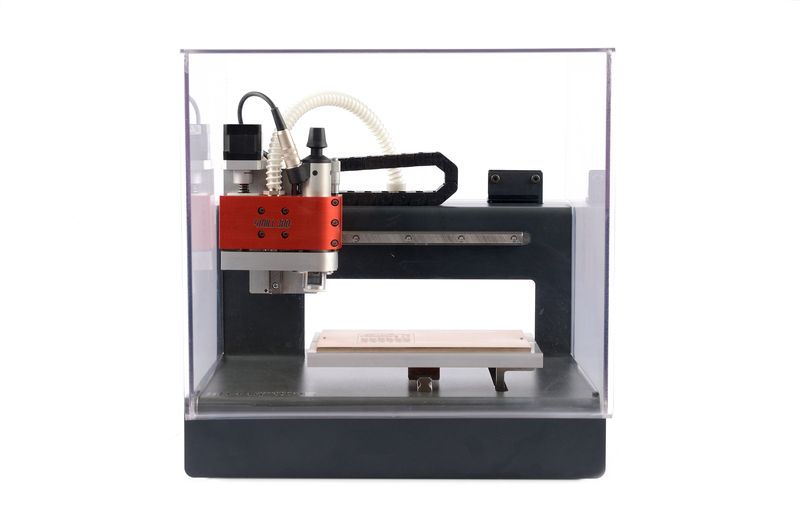 It ensures quick and easy production of PCB's prototypes as well as machining front pannels in your lab. 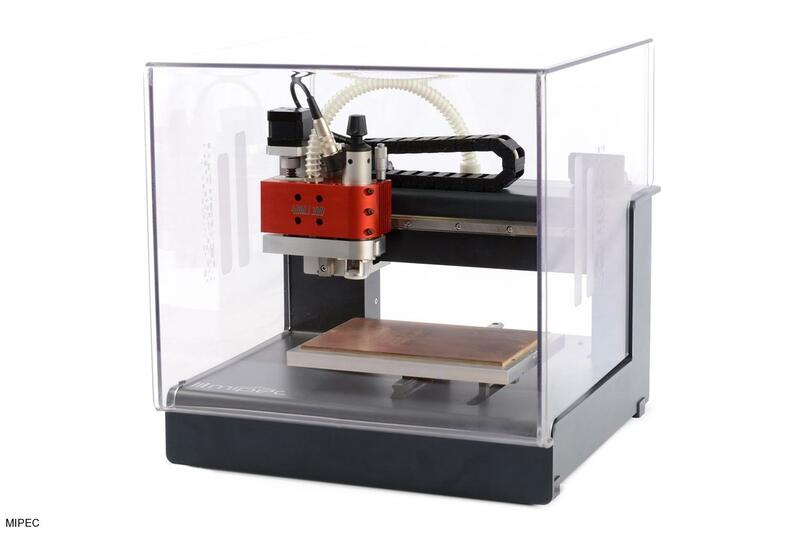 4MILL300 is the step into the world of Printed Circuit Board Prototyping in proffesional way. 4MILL300 is proffesional machine used as an ideal training solution for schools and universites as well as ideal machine for development and design laboratories.